Almost every book in the section that ‘Buy It, Rent It, Profit! 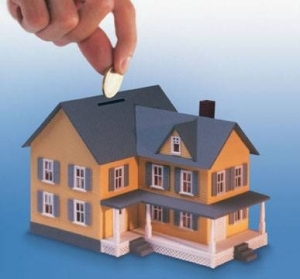 : Make Money as a Landlord in ANY Real Estate Market’ written by Bryan M. Chavis is targeted at individuals who thirst for knowledge to achieve their personal and professional success and wealth and ultimately happiness. This explain why these books are published to have minimal fluff, to have motivating positive messages, examples and illustrations and simply tell the reader, in the simplest terms, what to do or how to achieve a goal. This book, though, has been rated above the rest more than a handful of times by different reviewers and critics, and it is for a good reason. Touted as one of the simplest roadmaps to the confusing world of real estate buying, renting and owning property, the book ‘Buy It, Rent It, Profit! : Make Money as a Landlord in ANY Real Estate Market’ establishes itself as a guide to get rich with frenzied colorful and excitement filled cover design, just like most other get rich in any way possible guide books. However, you will be surprised that between the colorful and playful design of the cover pages is real information that will guide you to be a different kind of investor and landlord by working smarter, not harder and how to research potentially profitable property in an organized and easy to follow approach. 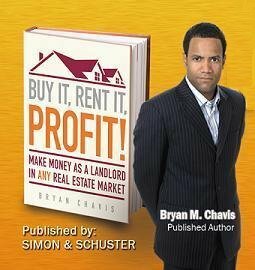 Bryan Charvis, the Author of the book, is himself the founder of Landlord Academy and a renowned writer but he used the same principles he advocates for in this book to turn himself from an ordinary average employee with a dead end 9 to 5 job to a landlord and very profitable real estate entrepreneur. This book is based on personal experiences and lesson learnt by Brian Chavis as he strove to find his way in the murky waters of the real estate market. It therefore presents the necessary tools that even a novice trader needs to be armed with to make smart investment decision and to set and meet their realistic goals in life and in business. The book can be described as informative and impressive, but the writer is much more articulate, calculating, intelligent and passionate in person. Therefore, whether you are a beginner in real estate or already have a business going and want to make it better than it is, this may be the best book for you. Because it is a perfect combination of substance and enthusiasm, this book is a comprehensive resource to get all the tips, tricks and ideas required in the assessment, purchase, ownership, transferring and selling a real estate property. As a closing note, just like any other book, this one has its weaknesses, the most pointed out being that it seems incomplete, giving it a feel of an infomercial on paper, some readers say it is too basic for anyone who understands the real estate market and some even just call it the author’s brags about his successes. It all depends on your perspective and what you are looking for, but to me it is a great book worth checking out.